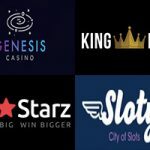 Removing the difficult wagering requirements from the equation and replacing the standard bonus offer with no-strings-attached 10% Cashback, No Bonus Casino did well to position themselves as one of the best new casinos out there. There are some departments they need to work on, but Casino Bloke can definitely recommend signing up for an account at No Bonus Casino. Every online casino offers some kind of bonuses, right? So what the heck does “No Bonus Casino” mean? 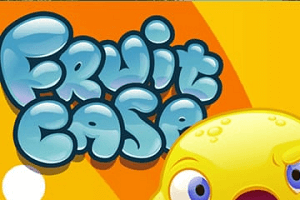 In their own words, this gaming site was created “for those players who prefer to play without a bonus”. But don’t misread this as a lack of opportunity to collect free money. This gaming venue will also let you play with their cash instead of your own, only they have decided to do it a bit differently to their competitors. And it seems the team which operates a dozen of other online gaming sites got it right. Since No Bonus opened in 2013, it has been attracting a particular kind of players from around the world – those who are interested in playing great casino games without the hassle of meeting (sometimes harsh) wagering requirements. 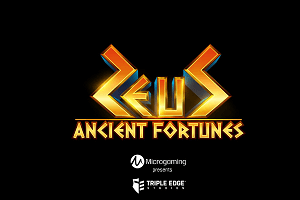 Partnering up with the biggest names in the industry and getting themselves two of the most trusted operating licenses, No Bonus Casino proves they are serious about offering a safe and uncomplicated gambling experience to equally serious players. When I said “no bonuses”, I wasn’t kidding. 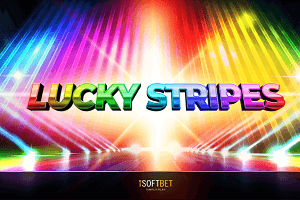 No special incentive is given for signing up and making your first deposit, and no free spins, match bonuses and cash rewards promised in the future. You won’t be accumulating redeemable points each time you place real money bets, nor climb up a ladder to gain access to bigger and better benefits. However, a simple promotional mechanism is put in place to help you recover in case you lose, no strings attached. The way it works is as follows: make a deposit and play, and should you happen to lose the entire deposited amount, while your balance shows less than €10, the Casino will refund 10% the next day. Cashback is instantly available to either play or withdraw, no wagering requirements to be met. Free cash, that’s what it is! As new games get added to the portfolio, an even more generous offer is made: instead of the usual 10%, you’ll receive no less than 50% cashback up to a maximum of €40. 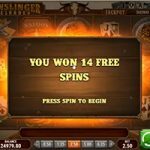 Games offered by No Bonus Casino are all web-based and can be instantly launched providing you have Java and Flash enabled. NetEnt, Microgaming and Amatic have populated the library with close to 400 slots, table games and Video Pokers, which can also be played for fun without having to register first. That’s an excellent opportunity to test the website and available games before deciding to open an account. Diverse gaming catalogue features many of the popular video slots, such as Gonzo’s Quest, Jack Hammer, Blood Suckers, Immortal Romance, Lara Croft Tomb Raider and Lost Vegas, as well as a good selection of classic fruities. 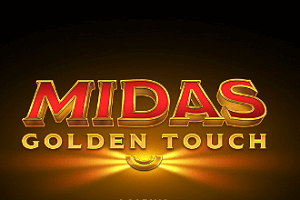 The two industry giants have additionally delivered their most generous progressives, so multiple millions can be won while playing Hall of Gods, Mega Fortune, Mega Moolah, Arabian Nights, or Major Millions. 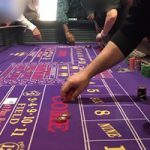 Collection of 40 table games provides low and high limit options of Roulette, Blackjack, Baccarat and Poker, and fans of the latter also get to choose among 20 Video Pokers such as Deuces & Joker, Aces & Faces and Bonus Poker. Selecting the tab titled Others displays several Bingo varieties and about a dozen arcade games. This is also where you’ll find Spingo, an interesting combination of Roulette and Bingo – for those who can’t make up their minds about which of these two to play. 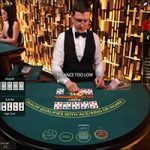 To experience the thrill of playing in a brick-and-mortar casino without having to dress up and leave your home, take a virtual seat at one of the tables which are in reality located at the Portomaso Casino in Malta. 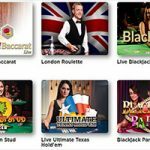 That’s where live Roulette and Blackjack games are streamed from, with a choice of standard and VIP games and an incredibly wide range of betting limits. While streaming from a “real” casino makes the gaming experience more realistic, it also means live games are not accessible 24/7; they are only available when the land-based casino is open, which is 10:00AM – 05:00AM (CET). As that is usually the case, live dealer games can only be played for cash. But what is not so common is that, once logged in, you can enter and observe the action for a certain period of time without having to place any bets. Great opportunity to check things out before placing your chips on the table! Access the Casino via an iPhone, iPad, Android device or Blackberry, and you’ll find a simple layout making it extremely easy to move around. Mobile site is home to almost 200 games, which is not at all bad, but the vast majority are slots and no Video Pokers in sight. Those who are into table games can only play 6, two of which are live Roulette variants. While not all operators offer Live Chat option once you move to a smaller screen, support staff at No Bonus Casino will be there to provide assistance should you choose to click Chat icon positioned in the bottom right corner. Euro is the only supported currency, but there’s quite a few options to choose from when making a deposit. 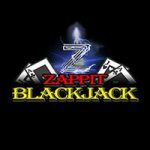 On top of the usual credit cards, E-wallets and a prepaid card, No Bonus Casino also offers one practical mobile payment method, Zimpler. You’ll face a more limited selection when ready to cash out, but your request will be processed within 24 hours and no withdrawal fees charged. While minimum limits are kind of on a high side, the Casino will allow you to withdraw as much as €5,000 per day. The operator has done a very good job of populating FAQ list with all the information you’ll likely to need. Hence, do check it out before reaching out to one of their employees. 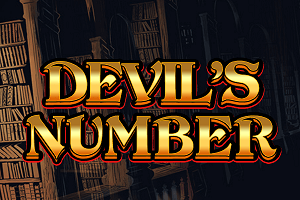 If you encounter a problem while playing – no problem! English speaking members of the support team work around the clock to make sure you get help as quickly as possible. Contact options can be viewed by clicking on VIP Desk tab at the bottom of the screen. (By the way, when No Bonus Casino says “VIP”, that applies to all players, not only a small group of privileged ones). There are many elements which make No Bonus Casino more than a solid online gaming destination. 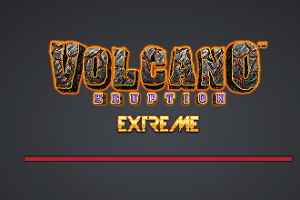 Catering to players of different tastes, they have ensured there is a good choice of games within each of the categories, particularly in the desktop version of the site. 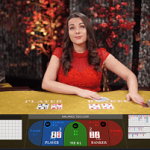 Live games streamed from an actual casino give them an advantage over those taking place in sterile studios, even though it makes them available only during specific working hours. There’s not much to criticise when it comes to payment options (except perhaps the minimum limits), and even less so where customer support is concerned. 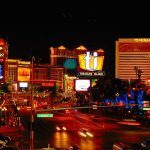 But while they perform well across the board, what makes this casino operator stand out is a unique promotional mechanism. It will not be to everybody’s taste, but will certainly be appreciated by serious gamers who are not bonus-chasers. If you consider yourself to be one them, make sure to register with No Bonus Casino and enjoy hassle-free online gambling experience.